Home | Giveaway: Win a FREE Wedding Purse! Giveaway: Win a FREE Wedding Purse! 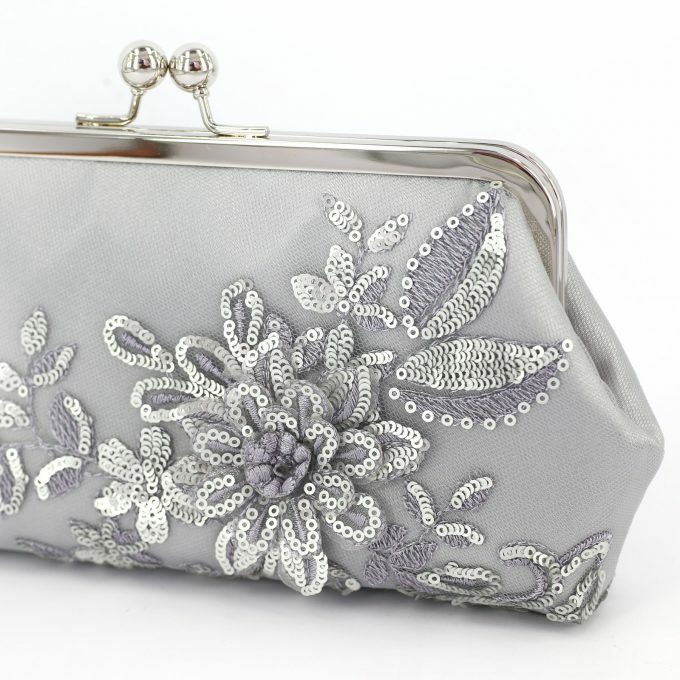 Are you looking for a beautiful wedding purse to carry on your big day? Do you want to give a chic clutch purse to your Maid of Honor, bridesmaid, mother, or mother-in-law as a present at your wedding? You’ve come to the right place! It’s Monday, time for another fab giveaway at Emmaline Bride and this week we’re teaming up with ANGEE W. to give away a FREE wedding purse! 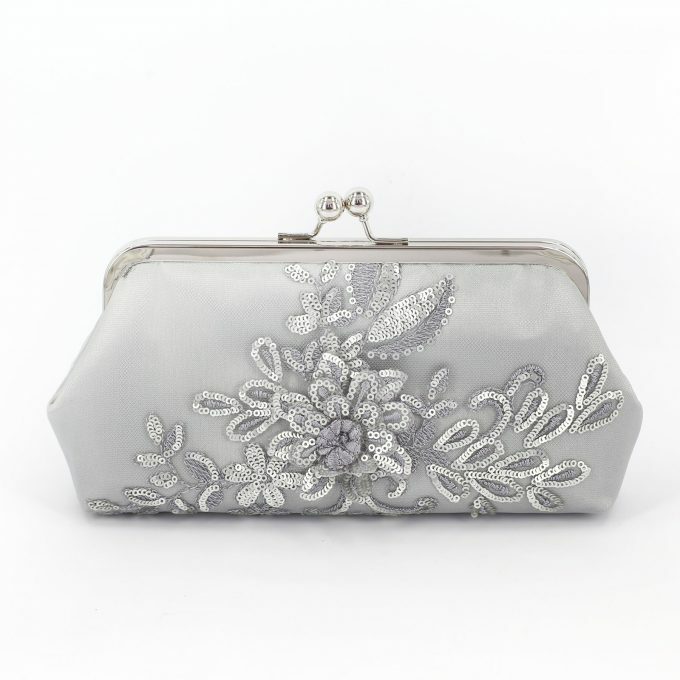 This is a stunning clutch you’ll love to carry on your wedding day — and beyond. Read on for details! 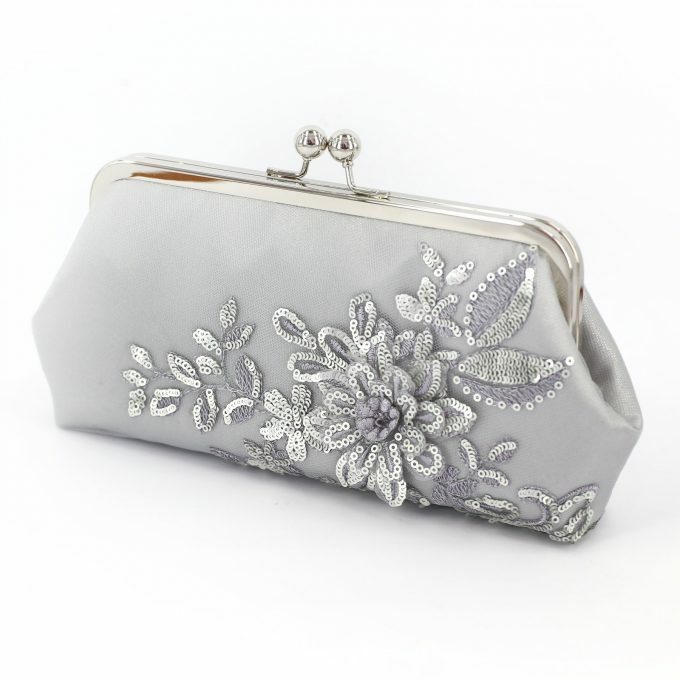 This beautiful metallic grey wedding purse features sparkly sequins in a large embroidery flower pattern. You can choose the lining color to coordinate with your wedding (or choose blue as a hidden “something blue” inside your purse!) This bag measures 9 inches across and is mounted on an 8 inch metal frame. Isn’t the detail absolutely stunning?! Each bag Angee and Vincci create is truly a work of art. If you wish, you can pay an additional fee and get a photo printed on the inside lining. This is one of the unique features that ANGEEW. offers — and others don’t! I adore the embroidered floral design and the sparkly sequin design. 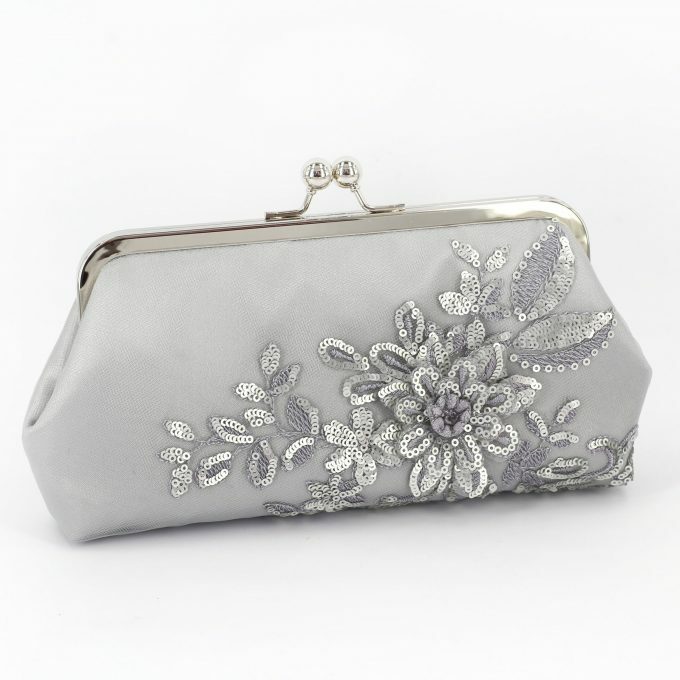 This wedding purse is ideal for your wedding day, yet is versatile enough to carry for other special occasions to come. RELATED: Giveaway: Win Mr and Mrs Drinking Glasses! Your wedding purse is packaged in a beautiful gift box and includes a dust bag for safe keeping. Winner will be notified via email on 9/27/18 and announced on this blog post and must respond to email within 72 business hours to confirm win or new entrant will be selected. P.S. Don’t want to wait for the giveaway to end? No problem… shop now to buy a wedding purse of your very own! These clutches make awesome bridesmaid gifts, too. There are many colors and styles available. I love the lace purses! The pictures on the inside are such a great touch! I love the Gold Embroidered Floral Tulle Bridal Clutch in Champagne, Wedding Purse for Bride, Bridesmaids and Mother of the Bride and Groom. The gold flowers are delicate in color adding a sudtle detail to the clutch making it simply beautiful. This is so beautiful! Very visually appealing and practical to carry around for the day of the wedding! I absolutely love the Burgundy Champagne Alencon Paisley Lace Clutch. Beautiful color and could be worn with lots of different dresses. This purse is so pretty! It would match perfectly for my best friends wedding that I am the Maid of Honor in! Sequence galore ! Love the Champagne and Navy Plum Blossoms Lace Clutch! I love the “Ivory Alencon Bridal Clutch with Magnolia Flower Lace for Brides, Bridesmaids, Mother of the Bride, Groom, Evening Personalized Photo Clutch“! It’s beautiful, and matches my dress!!! What a variety! I love the photo-lined clutches. I love the Metallic Dark Navy Blue Sequins Tulle Clutch! The Champagne navy peony clutch. I also love how she personalizes the inside. So cute! This is absolutely beautiful and would go with my 1920s Great gatsby themed wedding 6-15-19. Oooo, I love that Rose Gold Sequin Tulle Clutch! How pretty is that?! I absolutely love these clutches! They are all so beautiful. I would say my favorite is the Bridal Clutch with Sparkle Sequins Alencon Peonies Lace in Ivory. Metallic Dark Navy Blue Sequins Tulle Clutch. I love them all, but the Black Sequins Photo Clutch is my favorite. The personalized photo clutch is very unique. Thanks for entering. What’s your favorite purse from ANGEE W (other than the prize)?